If you’re noticing increasing amounts of attention given to collaboration, blended learning, and efforts to redesign learning spaces in training-teaching-learning, you’re not alone. 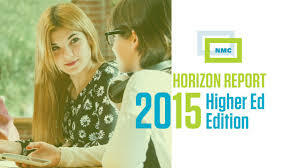 And if you are new to or remain curious about these topics, you’ll find plenty to stimulate your interest in the “Key Trends” section of the newly-released New Media Consortium (NMC) Horizon Report > 2015 Higher Education Edition. 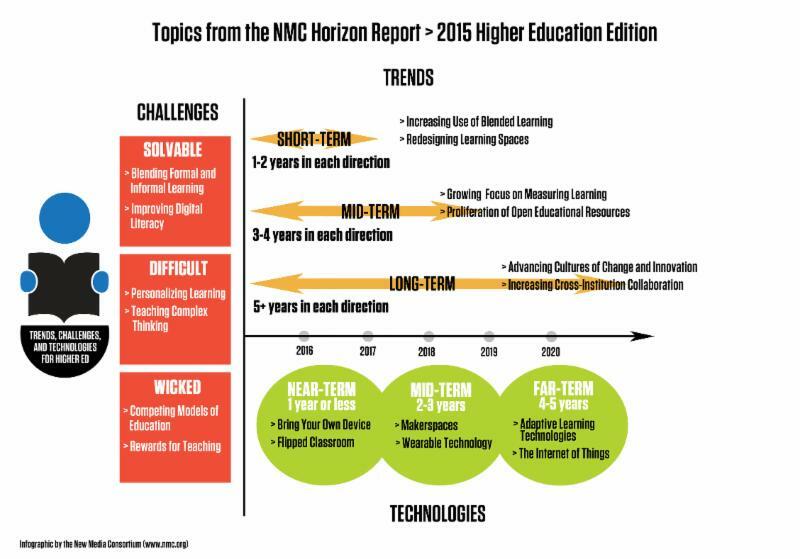 Horizon Project reports, for more than a decade, have been guiding us through what is changing and what remains consistent in our learning landscape; the flagship Higher Education Edition, which currently is accompanied by K-12, Library and Museum editions, consistently helps us identify and become familiar with key trends that are “accelerating technology adoption in higher education”—and, I continue to maintain, in many other parts of our overall lifelong-learning landscape. Reading through the latest Key Trends section confirms, among other ideas, that collaboration is a common thread weaving the trends into a cohesive tapestry of ed-tech developments. We see, through the report, that key trends (in addition to an increasing use of blended learning and significant amounts of attention given to redesigning learning spaces) include advancing cultures of change and innovation; increasing cross-institution collaboration; a growing focus on measuring learning; and the proliferation of open educational resources—OERs. And the 2015 Higher Education Edition includes plenty of examples to help us see how we can adapt, in our own learning environments, what our more adventurous colleagues are already doing. Looking first at the long-term trends—those “driving ed tech adoption in higher education for five or more years”—we encounter examples of how learning organizations are advancing cultures of change and innovation and increasingly fostering cross-institution collaboration. 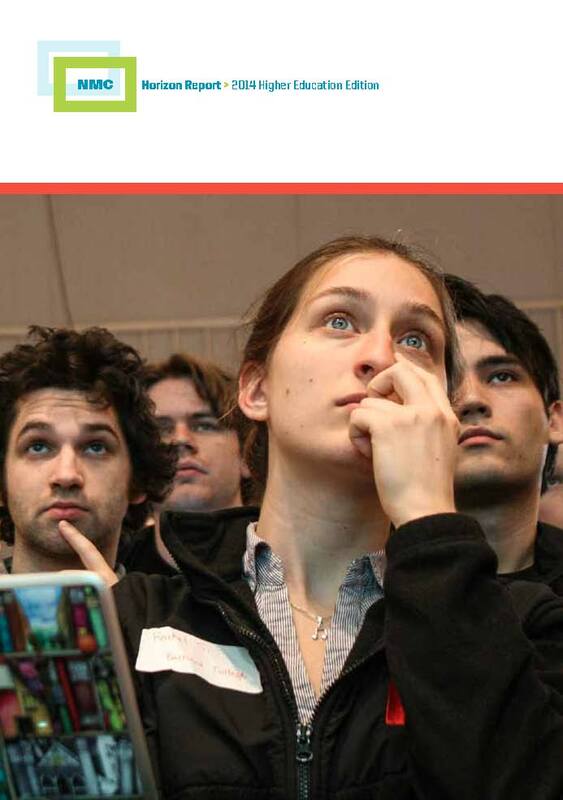 We are, according to the Horizon Project team (New Media Consortium staff, along with the volunteers who serve on the report’s panel of experts), seeing an increasing awareness among “higher education thought leaders” that agile startup models and the lean startup movement are stimulating positive change and “promoting a culture of innovation” in learning (p. 8). “It has become the responsibility of universities to foster environments that accelerate learning and creativity,” report co-authors Samantha Adams Becker, Alex Freeman, and Victoria Estrada bluntly tell us—an assertion that I consistently apply to workplace learning and performance (staff training) programs as well. Among the examples provided are the University of Florida’s Innovation Academy, where students work innovatively in a variety of dynamic learning spaces to “learn more about creativity, entrepreneurship, ethics, and leadership,” and the University of Colorado, Denver’s ten-week Online Skills Mastery training program “designed to prepare you for teaching with digital tools, with a focus on great digital pedagogy” and culminating with a project in which participants actually produce a learning module—experiential learning at its best. (Modules are available online for those of us interested in further exploring what the program offers.) And for one of the many examples of how learning organizations are engaging in productive collaborations, we can follow the report link to “7 Ways Higher Ed Institutions Are Increasingly Joining Forces” from EducationDive.com—yet another resource well worth pursuing. As we move into the mid-term trends—those “driving ed tech adoption in higher education for three to five years”—we turn our attention to the growing focus on measuring learning (think learning analytics) and the proliferation of open educational resources. With the growing focus on measuring learning, we are reminded, “The goal is to build better pedagogies, empower students to take an active part in their learning, target at-risk student populations, and assess factors affecting completion and student success” (p. 12); among the numerous first-rate resources cited in the 2015 Higher Education Edition are the “Code of Practice for Learning Analytics” prepared by Niall Sclater for Jisc, and records from the Asilomar Conference (here in California) that was designed to “inform the ethical use of data and technology in learning research” through development of six principals (“respect for the rights of learners, beneficence, justice, openness, the humanity of learning, and continuous consideration”). 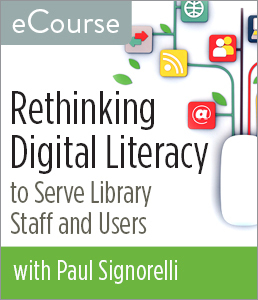 Turning to the trend toward increasing use of open educational resources, we see how they represent “a broad variety of digital content, including full courses, course materials, modules, textbooks, videos, tests, software, and any other means of conveying knowledge” (p. 14). Among the open textbook projects receiving attention here are Rice University’s OpenStax College and College Open Textbooks; massive open online courses (MOOCs) and the North-West OER Network also receive much-justified attention for their ongoing collaborative and open approaches to learning. 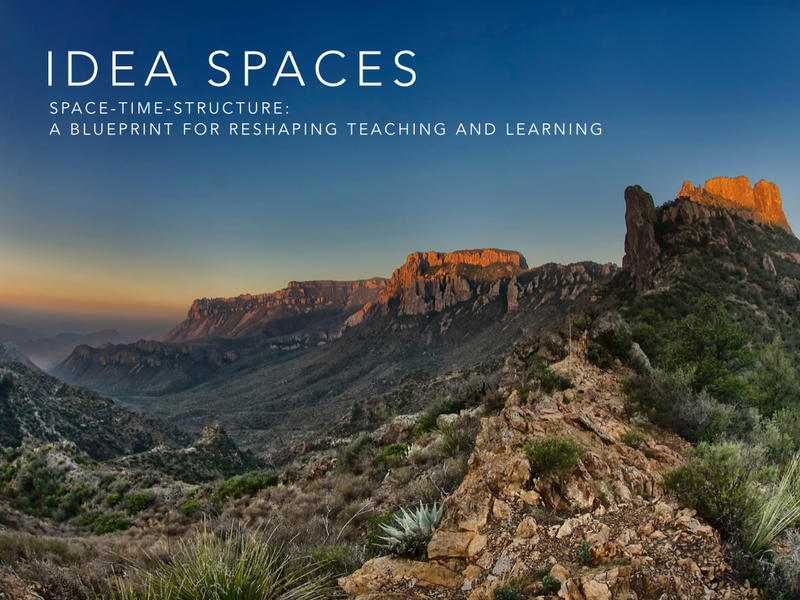 The Key Trends section of the report concludes with the two intriguing and fruitful short-term trends—those “driving ed tech adoption in higher education [and elsewhere] for the next one to two years”: increasing use of blended learning and redesigning learning spaces. “[B]lended learning—the combination of online and face-to-face instruction—is a model currently being explored by many higher educational institutions” (p. 17) and some of us who work in other learning environments, as we’re reminded through a link to a blended-learning case study (written by Carrie Schulz, Jessica Vargas, and Anna Lohaus) from Rollins University. And changes in pedagogical approaches themselves are driving the need to re-examine and redesign our learning spaces: “A student-centered approach to education has taken root, prompting many higher education professionals to rethink how learning spaces should be configured,” the report co-authors confirm (p. 18). If, for example, we are interested in having the learner at the center of the learning process, we’re going to have to rework the numerous lecture halls that continue to place the focus on learning facilitators. The FLEXspace interactive OER database and the Learning Spaces Collaboratory are among the wonderful resources cited for those of us interested in diving much more deeply into the world of learning-space redesign, and Tom Haymes’ Idea Spaces presentation provides additional food for thought while also serving as an example of how we can create online content in a way that creates its own type of learning space—the website itself. We can easily see, in the newly released (2014) Higher Education Edition of the New Media Consortium (NMC) Horizon Report, a cohesive narrative that helps us understand what we and our learners face not only in academic settings but also in many other training-teaching-learning settings where learning, technology, and creativity intersect. The newly-expanded “Key Trends” section of this wonderful annual report on trends, significant challenges, and innovations in educational technology, first and foremost, is itself an example of the spirit of innovation that drives NMC projects (e.g., reports, summits, and a wiki-thon): it provides more in-depth explorations of each trend than have been included in previous Horizon reports, and places each trend within a specific time frame (fast trends, which are driving changes in higher education over the next one to two years; mid-range trends, which are driving changes within a three- to five-year horizon; and long-range trends, which are driving changes in a horizon of five or more years from the date of publication of the report). Again, I suspect that what we’re seeing here has strong parallels in our extended lifelong learning playground. Report co-principal investigators Larry Johnson and Malcolm Brown, working with lead writer/researcher Samantha Adams Becker, take us from those fast trends (the growing ubiquity of social media and the integration of online, hybrid, and collaborative learning), through the mid-range trends (the rise of data-driven learning and assessment, and the shift from students as consumers to students as creators), and then up to the virtual doorstep of the long-range trends (agile approaches to change and the evolution of online learning) in a way that leaves no doubt as to an overall consistent trend of engaging learners in the learning process through the use of tools that are as useful in learning settings as they are in many other parts of our lives. A key conclusion we might reach: barriers are falling; work and play are intersecting with increasing frequency; and undreamed of possibilities continue to come our way. When we move into the long-range trends, we see agile approaches and the continuing evolution of online learning (massive open online courses—MOOCs—being one of many relatively new innovations that are adding to our learning toolkits and expanding the way we think about and deliver learning opportunities). The theme of collaboration that is an integral part of so many of these trends takes us down some interesting paths. Libraries, for example, are cited in the report as key partners in the trend toward shifting learners from being consumes to learners becoming creators. Makerspaces and other collaborative spaces are increasingly a part of libraries as learning spaces with support from a variety of sponsors, including the Institute of Museum and Library Services. We also, in the report, see examples of collaborations between learning organizations and business entrepreneurs—relationships where businesses serve as models for an agile approach to learning while connecting learning and learners to the development of critically-important business skills. The report itself offers trainer-teacher-learners a variety of levels of engagement. We can simply read and absorb what is of interest to us; follow any of the numerous links to other articles and resources so we learn more about the trends that are most interesting to us; or start with the report summaries of the trends, follow a few of the links, and then carry those learning experiences into conversations with colleagues face to face and online—which means we’re not only fully engaged in integrating online, hybrid, and collaborative learning into our work and play, but are also helping define the evolution of online learning through our own online learning efforts. NB: This is part of a series of articles exploring the latest Horizon Report. Next: Key Challenges.